Soaps containing citronella and herbs such as cinnamon leaf or eucalyptus oil can help to repel mosquitoes. 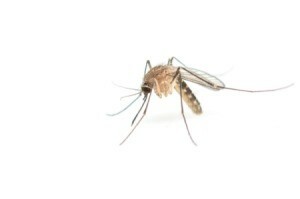 This is a guide about using citronella soap as a mosquito repellent. I tried the 50/50 baby oil and vinegar as a mosquito repellent and I still got bitten. I tried using citronella soap and put it all on my legs and arms and the mosquitoes did not bite me at all. Just put water on the citronella soap and spread it all over the exposed legs/arms. Do not rinse it off. I am so happy and I don't have to use the chemical spray "Off" on my body anymore. Best of luck to all who get mosquito bites. I'm wondering if the eucalyptus oil is the active ingredient. I have crushed citronella leaves and rubbed the pure juice on my arms. It did nothing to repel mosquitoes.